People only have a few more days to weigh in on the Trump administration's recent proposal to renew two controversial mineral leases on the doorstep of the Boundary Waters — unless the federal government agrees to extend the public comment period. On Dec. 20, the federal Bureau of Land Management announced its plan to formally renew two mineral leases for 10 years to Twin Metals Minnesota, a subsidiary of the Chilean mining giant Antofagasta, which is vying to build a massive underground copper-nickel mine near Ely, Minn., just outside the Boundary Waters Canoe Area Wilderness. At the same time, the bureau also released a 34-page environmental assessment and gave the public until Jan. 22 to weigh in on the agency's plans to renew the leases. But the following day, on Dec. 21 at midnight, the partial government shutdown began. Several environmental groups say as a result, agency staff haven't been available to answer questions, and they couldn't access information on the proposal on government websites for several days. 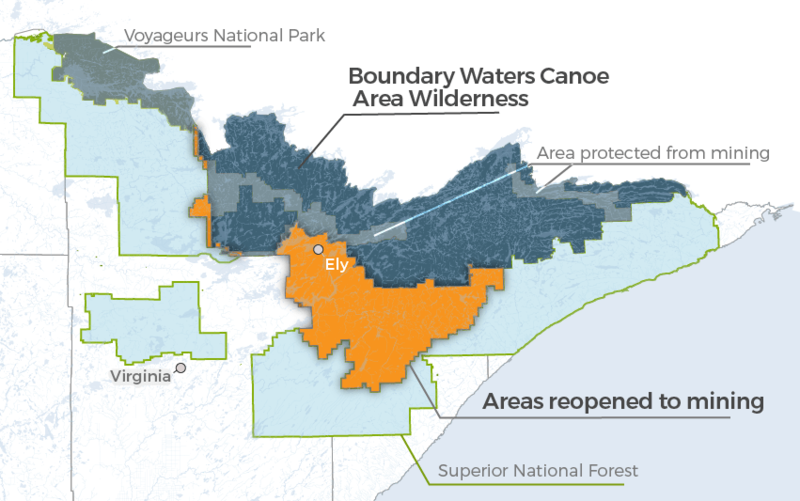 Those groups, including the Campaign to Save the Boundary Waters, the Wilderness Society, Center for Biological Diversity and National Parks Conservation Association, have asked the bureau to extend the comment period by an initial two months — until March 25. They've also asked for public hearings in Duluth, Minneapolis-St. Paul and Washington, D.C.
"A rushed process is insufficient to understand the impacts of lease renewal on one of our nation's most cherished public lands," the groups wrote in their letter to the Bureau of Land Management, urging the agency to "proceed cautiously and take adequate time to fully engage the public, the Forest Service, the scientific community, Native American tribes and others who will be impacted by the decision." Minnesota's U.S. senators, Amy Klobuchar and Tina Smith, have also requested at least a 60-day comment period. 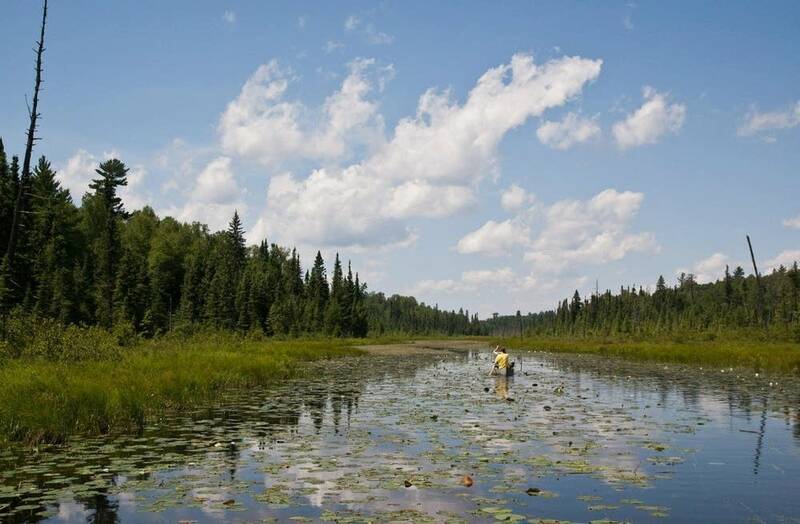 So have U.S. Reps. Betty McCollum, Ilhan Omar and Dean Phillips of Minnesota, who also asked the BLM to prepare an Environmental Impact Statement to more thoroughly study the impacts of a potential mine on the Boundary Waters' sensitive ecosystem. The Bureau of Land Management has not responded to the requests. In a press release encouraging mining supporters to submit comments, Twin Metals said the mineral leases are the "foundation" of its underground copper-nickel mining project and "their renewal is critical to the continued design and submittal of a formal mine project proposal to state and federal agencies," which the company has said it intends to submit sometime in 2019. The Trump administration's proposal to renew the leases was the last of several reversals of moves the Obama administration had taken to block potential copper-nickel mines, including Twin Metals, on federal land within the watershed of the Boundary Waters. In late 2016, in the waning days of the Obama administration, the U.S. Forest Service and the Bureau of Land Management stripped Twin Metals of its leases and started a process to ban mining in the watershed for 20 years, citing the potential risks of sulfide ore copper-nickel mining to an "irreplaceable" wilderness area. In addition to reinstating and now moving to renew the leases, the Trump administration also canceled the environmental study of the proposed 20-year mineral withdrawal. Mining backers have argued the proper time to evaluate whether Twin Metals can operate safely is in the environmental review and permitting stage, which would be triggered when the company submits a mine plan. But mining opponents argue that's too late. They say scientists should first determine whether the watershed of the Boundary Waters is an appropriate place for mining.